I bought the M5. 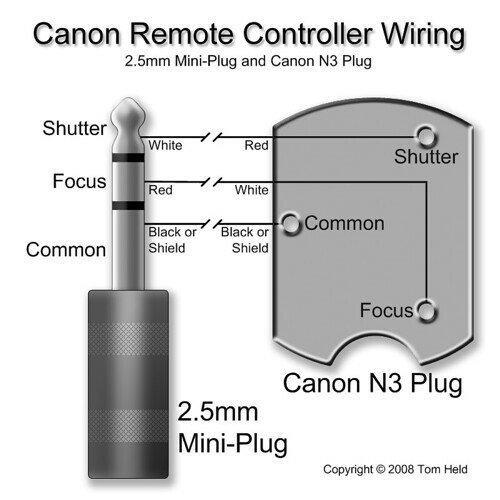 When reading the manual I was surprised to find that Canon doesn't seem to offer an intervalometer accessory for it. Does anyone have an intervalometer solution for the camera? I've seen a reference to someone using a Neewer intervalometer (available on Amazon) but it I don't see it listing the M5 as a compatible camera, and I've never heard of them. any intervalometer with a compatible camera connector (1.5mm jack) would work because it just triggers the camera, it doesn't communicate with it.. Thanks for the info. I didn't think of it that way. However, isn't the jack 2.5mm? I found an N3 female to 2.5mm male adapter on Amazon for $8 which I can use with my existing N3 intervalometer, so this should solve my problem. Thanks Andrei - that is good to know. If the $8 adapter doesn't work, I may try your idea. I have containers of unused cables laying around; surely there must be a 2.5mm mini-plug in one of them.